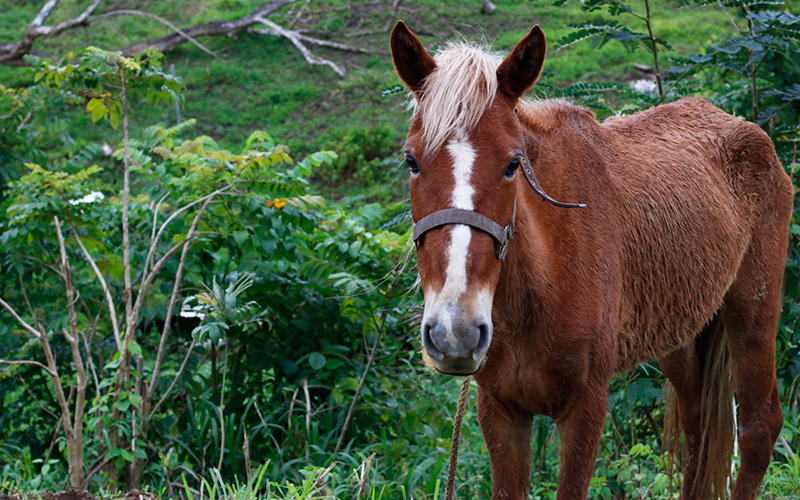 COROZÁL, Puerto Rico – This is a tale of two communities, 8 miles apart – separated by winding roads but divided by more than geography. The stark contrast isn’t solely because of Hurricane Maria. 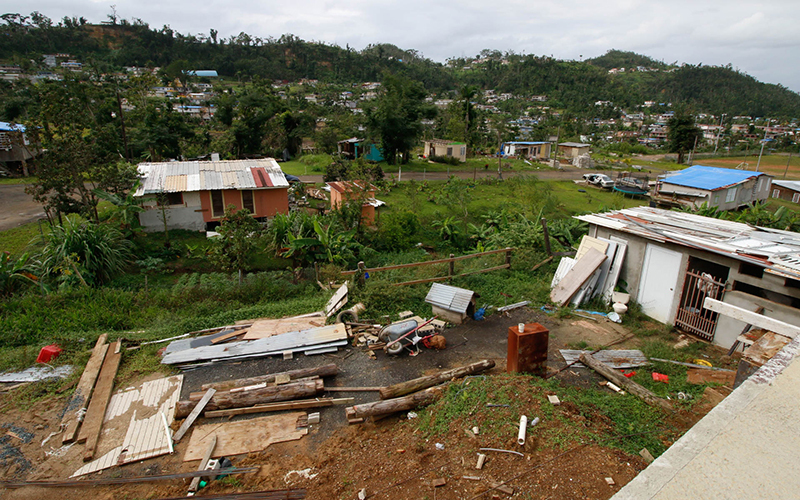 Corozál is a municipality of 37,000 with a large middle class and neatly kept concrete homes that mostly withstood the storm’s 175-mph winds last September. Villa Esperanza, in nearby Toa Alta, is a squatter community where residents years ago began building homes on vacant land out of scraps and wooden planks. Maria blew away those makeshift structures and knocked out the community’s gerry-rigged utilities. Before the hurricane, there were 132 households in Villa Esperanza (Hope Villa in Spanish); about 70 remain. But residents there and in Corozál have responded in similar ways, demonstrating a spirit of resiliency evident in hard hit communities all over the island. That spirit is reflected in the actions of Jorge Olivo, a resident and community leader of Villa Esperanza. In the hours before and during the hurricane, Olivo stayed with four other people under the concrete bleachers of a local stadium. He could have fled with his family to safety outside the squatter town, but he stayed to make sure the others were safe. Maria devastated his home; only his kitchen stands. He now peers out at Villa Esperanza through empty spaces that were his bedroom and living room before they were blown away. In Corozál, the neighborly spirit is reflected in the work of Nery Luz, director of the Municipal Office for Emergency Management. The mother of two small children, she has spent many long days and uncounted extra hours responding to hurricane victims. On a March day, six months after the hurricane, tears welled in Luz’s eyes as she talked about how much more needs to be done for Corozál. The rebuilding of Villa Esperanza poses an opportunity for the Puerto Rican government: to legitimize the legions of people who have built small homes on vacant land or who have no proof the land they live on is theirs, passed down through generations with no deeds recorded.  Several Puerto Ricans interviewed by Cronkite News said they couldn’t qualify for federal aid to rebuild because they couldn’t prove ownership. Fernando Gil, secretary of Puerto Rico’s Department of Housing, said that in the wake of Maria, 48,000 deeds have been given to squatters. That’s a start, advocates say, but far short of meeting the island’s needs. 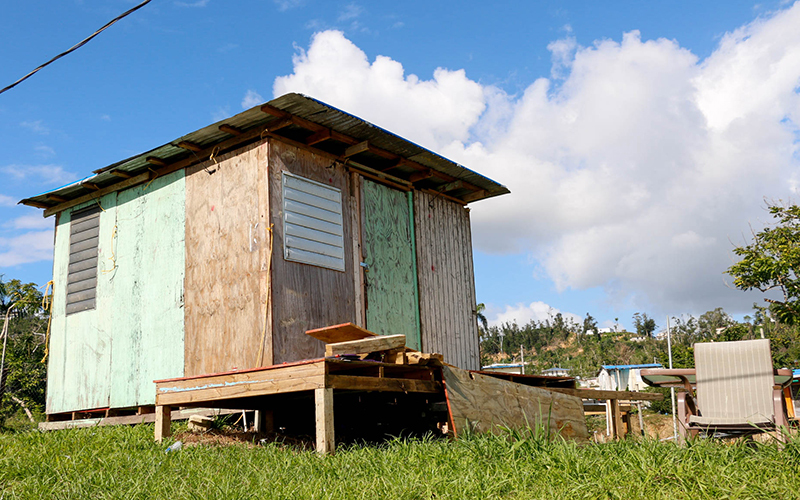 There have been estimates of 1 million squatters living on the island, a number Gil refutes. Villa Esperanza residents know they aren’t a priority for repairing power lines, so they’ve taken it upon themselves to climb up the poles to gerry-rig their utilities. 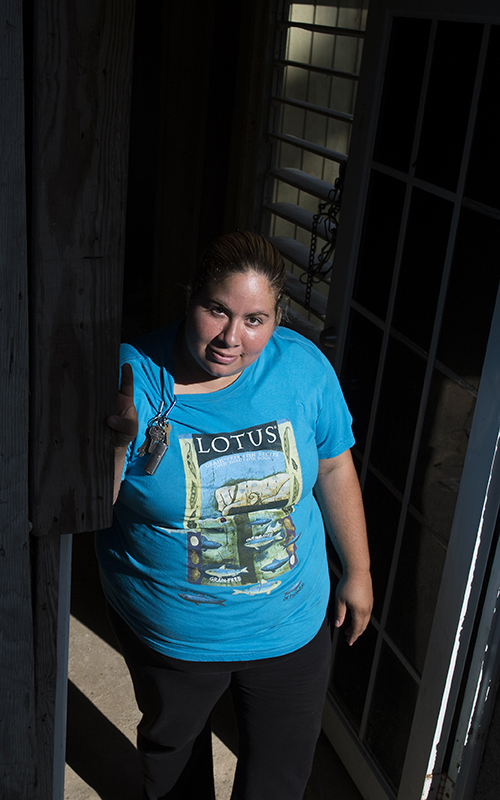 Still, residents like Maria Ortiz, who has lived in Villa Esperanza for four years,say they would rather return to the storm-damaged squatter community they consider home than rent in another location. 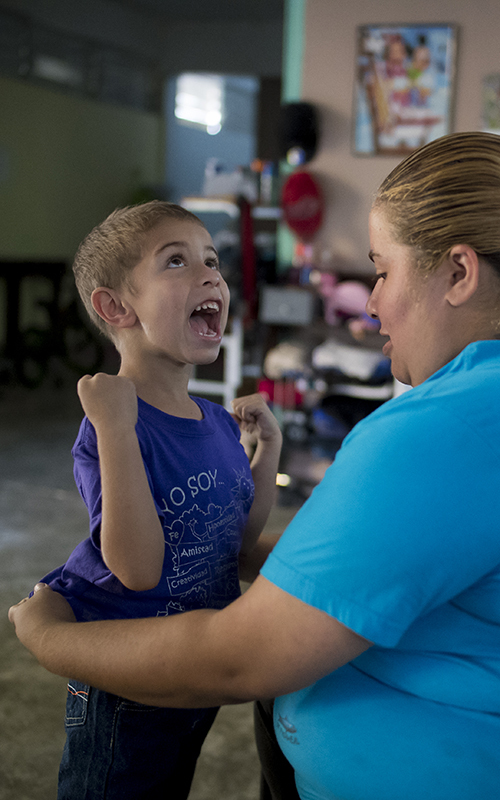 When the hurricane was bearing down on the island, Ortiz and other residents sought shelter in a school down the road. She stayed for three weeks but struggled there. She said tensions boiled over in the close quarters but she tried to mind her own business in hopes of returning home. When she finally returned for the first time to where her home once stood, she said it was a lot harder than she thought it would be. Only the floor remained. “It’s not the same saying it and seeing it,” Ortiz said. “Every single house was gone, we had nothing, and I still get sad. I get sad for at least 10, 20 minutes” every day. Her neighbors helped her put up four makeshift walls to allow her to move back in. She used a gasoline generator to power what was left of the home. It cost $20 every two days to keep it going. Fortunately, her electricity was restored a month ago. Ortiz was among the lucky squatters who received government aid. She said the Federal Emergency Management Agency gave her $25,000 to repair her home after a group of pro bono lawyers explained the documentation needed to qualify. 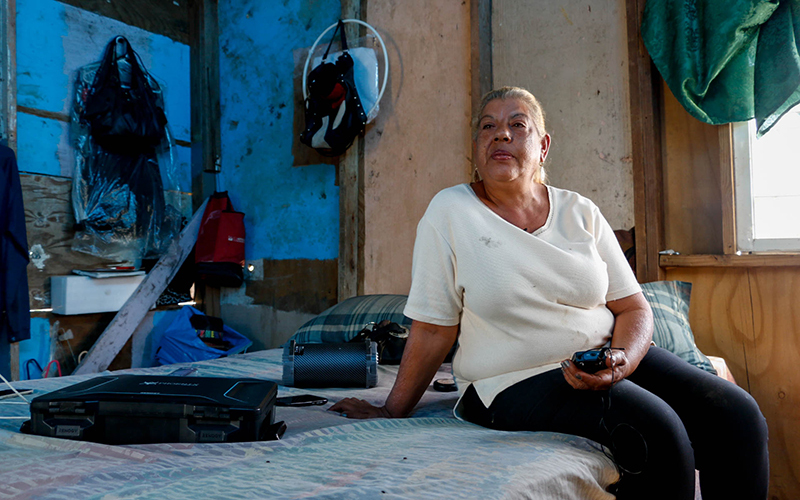 With the help of her son Peter, Ortiz is building her home out of concrete, to better withstand future storms. She hopes someday to build a restaurant on another part of her land. Another Maria Ortiz lives about a half hour away in Corozál. Although they share the same name, their lives are as different as the communities in which they live. The home of this Maria Ortiz sits low against the mountainous terrain near Rio Corozál. She lives alone; her husband died a few years ago. Emergency responders say the houses on her block were underwater because the river topped its banks. Ortiz’s demolished home, made of wood, stood out from neighboring concrete houses, which were mostly intact. Her roof and floor remained but the walls and furniture were gone. Friend and family assumed Ortiz would be the most heartbroken, she said, but it was her daughters who were most torn. Their childhood home, full of memories, had been taken from them. They are helping Ortiz and her brother rebuild the home, but they can’t get back the history. She said FEMA did help her, but only enough to buy materials, not to do the work. She could apply for aid from Tu Hogar Renace, a government program designed to repair homes so they are safe, but Ortiz said the process required too much documentation. “I haven’t looked for it, because since I have the help of my family, I think that maybe there’s other people that don’t have the help of their family, and that resource could be for them,” she said. Ortiz doesn’t have to sleep alone in a dark room of wooden walls, like her counterpart in Villa Esperanza. Her daughter wouldn’t let that happen, so Ortiz stayed with her in a home up the hill. For the past three months, her brother has helped her rebuild a little each weekend – with concrete, this time. She misses her privacy most of all. “I’m crazy (ready) to be back home. Even though I’m good with my daughter, it’s not the same as someone’s own home,” Ortiz said. Gil, the housing secretary, said Tu Hogar Renace (Your Home Is Reborn in Spanish) provided through Puerto Rico’s Department of Housing and FEMA, helps pay for restoration of electrical service, repairs to roofs, walls and windows as well as removing debris. “Obviously it’s kind of hard to get like some of the materials … due to availability, but we’re in the process of getting new providers and the current providers like to make it happen,” Gil said. 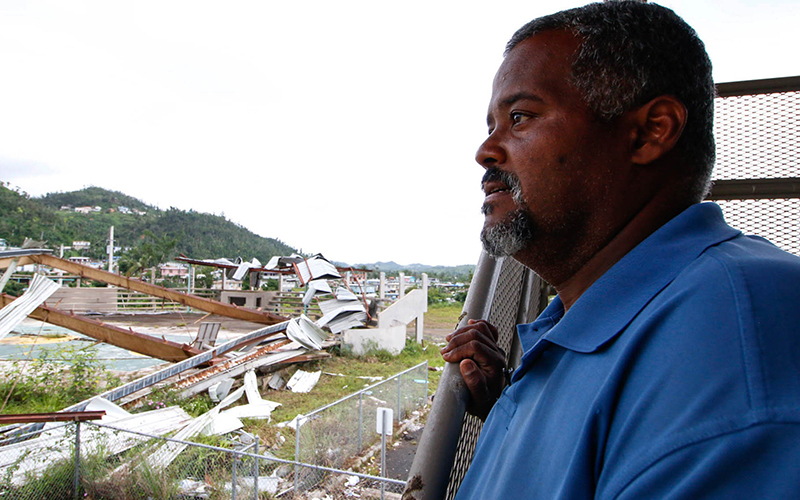 Luz, Corozál emergency manager, said the town slowly has been rebuilding. Every day for months, Luz said, someone would come to the steps of her agency’s office seeking help, including people who had lived in their cars until they couldn’t anymore. The need for assistance has slowed since Maria, she said, but it’s persistent. The power of the people is what will save Puerto Rico, she said. About 10 minutes from the heart of Corozál, Michel Rodriguez, her husband and 5-year-old son, both named Joseph, also are rebuilding their lives. Their dog, Sparky, sits leashed in front of the abandoned school they broke into and where they’ve lived since fleeing a refugee center after the hurricane destroyed their home. “At the refugee center, men and women were using the same restroom, and no one assured me the safety of my son, and since we knew that this school was abandoned, we decided to break the locks and come here two days after Maria,” Michel Rodriguez said. Going back still isn’t an option – a huge tree branch blocks the steep walkway to the family’s two-story home, which has no roof. A pan remains on the stove, as if the storm interrupted dinner that night. 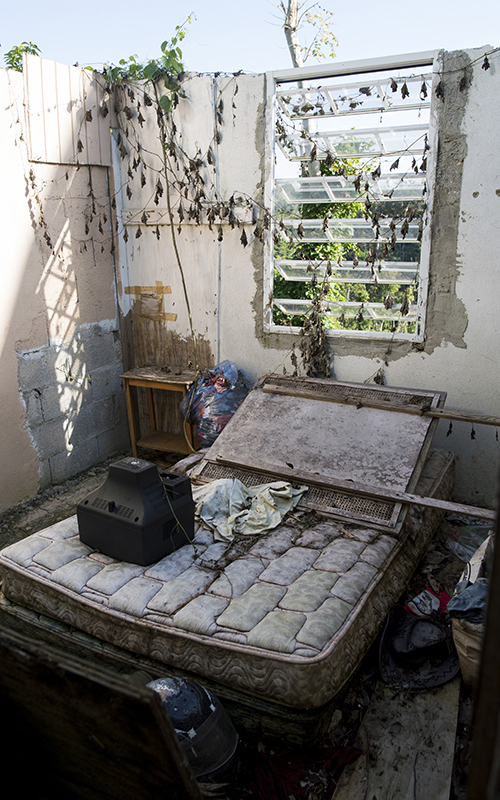 A twin-size mattress sits on the floor in the bedroom, waterlogged. Toys lie scattered about. The family spends $100 on water every two weeks. Her husband takes odd jobs when he can to support them, but he’s unemployed. Rodriguez considered buying ice with her remaining $2, but the next morning decided to buy her son breakfast before school. It’s a choice most Americans don’t usually face, but she’s undaunted. Rodriguez said they hope to move back to their house sometime soon – a tall order, considering the roof is missing. 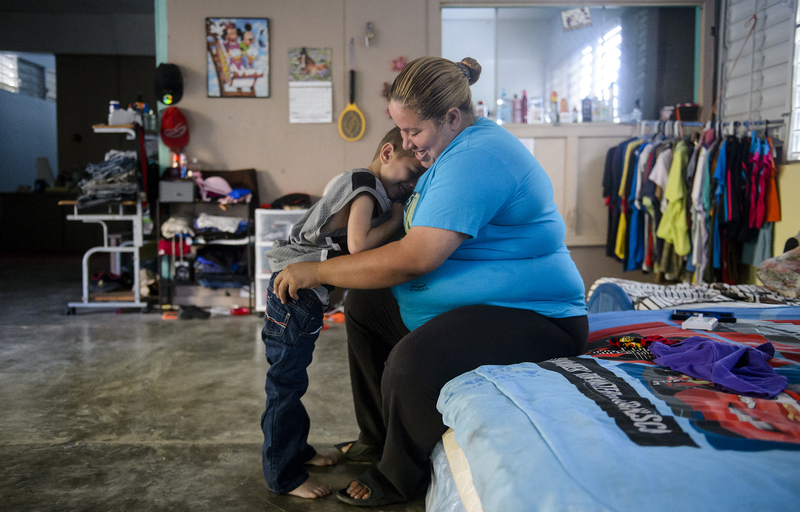 To deflect from her family’s living conditions, she uses humor to get her through the day. Her exuberant son follows her lead, posing after getting dressed for school. As the communities rebuild, Puerto Ricans worry about the next big storm. According to the Puerto Rico Department of Housing’s standards, a home must be able to withstand 140 mph winds. But Secretary Gil said it’s hard for the government to ensure that homes, especially those within squatter communities like Villa Esperanza, meet this standard. That responsibility lies with the owner of the property, he said. The consensus of everyone interviewed for this story is that Puerto Rico is not ready for the upcoming hurricane season which begins June 1 and runs through the end of November. Gil said the infrastructure is old and the electrical grid dates to 1952, adding that the department is working with renewable energy for more reliable power sources. Despite all her misery, Maria did some good, Luz said. People who never interacted with their neighbors suddenly were giving their last bottle of water to the strangers next door.